2019 Winter Season online registration open now!! I want to register a PRIMARY School Player! I want to register a SECONDARY School Player! Winter competition commences 27th April 2019. It runs during second and third school terms, with a break over the June/July school holidays. Registrations will Close on Sunday 31th March. 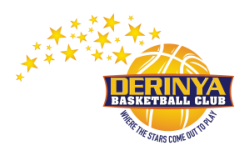 If your child’s team is playing, then you need to complete the online registration on the DBC website. If your child wishes to play but their team is not playing, please contact the appropriate enrolment officer. We will try to find teams for individual players but please be aware that this may not be possible. Preps can register to play for our Summer competition starting Term 4. This is a great opportunity for all new players(grade 1 up) to join a team and play basketball. All that is required is to form a team with a minimum of 7 players, up to a maximum of 8/9 players. Players must be placed in the appropriate age groups. Please refer to the age groups below. Same gender teams only. Once formed, each team then needs to elect one Team Manager and one coach. If you cannot find or form a team, please contact tohe appropriate DBC enrolment officer. We will try to find teams for individual players but please be aware that this may not be possible. Once a team manager has been selected please proceed as follows. Team fees and registration are to be paid no later than: 5th April, late fees will apply. Please advise your new players to order the yellow reversible uniforms online​. ​Click on the link relevant to you to register your child.